The FTD® Holiday Peace™ Bouquet by Vera Wang will add to the grandeur of their Christmas season with its bold coloring and enchanting look. 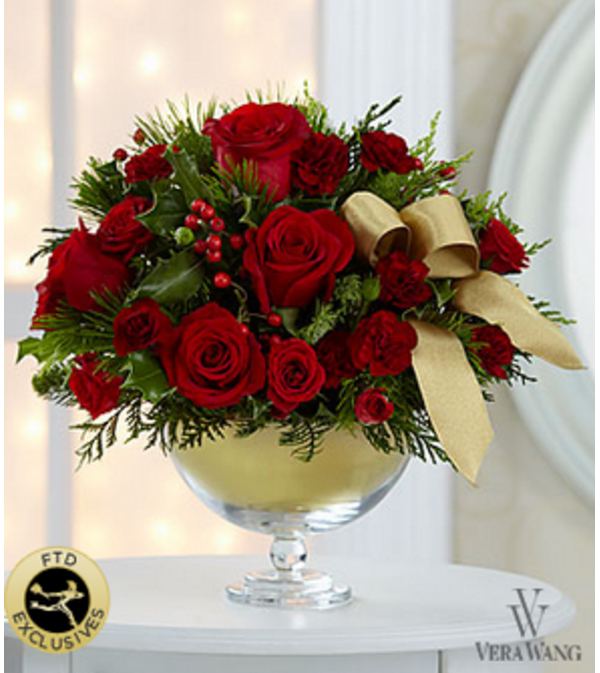 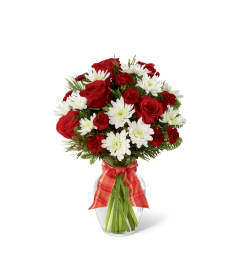 Rich red roses, mini carnations and spray roses are accented with an assortment of lush holiday greens, holly and gold ribbon to create an elegant holiday flower arrangement. 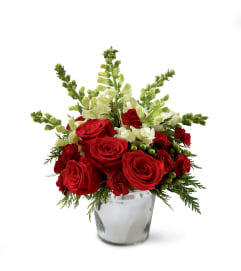 Presented in a designer clear glass pedestal vase, this flower bouquet will delight friends, family, co-workers and loved ones with its impressive seasonal styling.